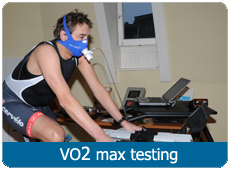 You are a runner or cyclist, who wants to give everything to achieve good results. You are participating at races or challenges were performance is most important. You are searching for a coach who is almost available all the time, to give you advice on the way to achieve your sportive goal. You want extensive advice in the field of nutrition, among other through analysis of your nutrions patterns. You are aware of your strongest and weakest points and you want that your coach adapt to that: the most effective training sessions have to be found for you and have to be fit in to your schedule. You appriciate it that your coach gives advice to you during the composement of the optimal agenda with (training) races. The trainingschedule will be composed by a experienced coach on the basis from your current form, the available training time and your traininggoal. The training sessions will be planned at the days which are defined by you. The coach will advise you how your weakest points can be improved and together a strategie will be determined and processed in the schedule. Besides, the coach will advice you in the composement of an agenda with preparation races or -challengers. You notice the executed training sessions in a personal logbook. Adjustment of the trainingschedule takes part twice a week. The training sessions from the previous days will be evaluated via telephone contact between the athlete and the coach. On base of this conversation and an analysis from the information filled in by the athlete in the logbook, the coach will make a new schedule for the next days. Training models with good responding will be preferred. Training sessions who have lesser effect will be deleted. Twice a week, you can, during the evaluation conversation, tell the coach if your available training time is changed. This is also possible in the mean time, the coach will adjust the schedule so the training sessions will match to your training time. 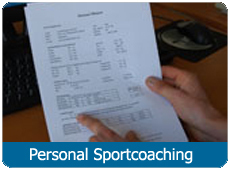 The coach has 6.5 hours per month coaching time for your availability. He will spend that time to the evaluation of the trainingschedule in the weekly telephone conversation and at replying from questions about the executed training sessions. Besides, the coach will give you advice in the composement of an optimal agenda with preparation races or -challengers to be in topcondition at the right time. Also advice in the field of nutrition supplements and a nutrition analysis is part of this training package. 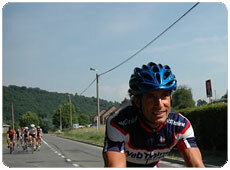 Tips in the field of material, aerodynamica and the best strategie during races and challengers are possible. A personal trainingspage with a personal username and password. A clarifying displayed trainingschedule, were you can see directly in which period you have to train intensive, and when you must not, due to colors who correspondent with the intensity of the training. A logbook were you can notice the executed training sessions, and important values as morning pulse, the recovery from the previous training and your personal comment on the development of the training. Excess to trainingsgraphs, which shows the values that you filled in in your log book in one overview. Excess to the library for the website, with articles about training and nutrition. Webtrainer is for cyclist with different levels, from cyclo participant till world class athletes who wants to win a race. The basic version of Webtrainer (Webtrainer Sport) is effective for cyclists who make their own decisions when choosing trainingsgoals and in executing different forms of training, also without help of personal contact with a coach. Do you want personal assistance by making a good decision? Please contact us.